Héctor Manuel Rivera Pérez (May 15, 1933 – April 9, 2019) was an auxiliary bishop for the Roman Catholic Archdiocese of San Juan de Puerto Rico. The Roman Catholic Archdiocese of San Juan de Puerto Rico is an ecclesiastical territory or diocese of the Roman Catholic Church, comprising the northeast portion of the island of Puerto Rico, a commonwealth of the United States. 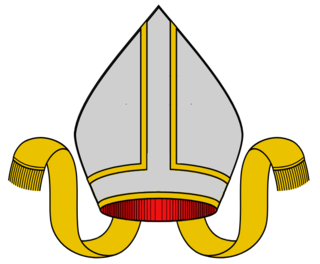 This is a historical list of all Roman Catholic bishops whose sees were on the island of Puerto Rico, with links to the bishops who consecrated them. It includes only members of the Puerto Rican Episcopal Conference and their predecessors. From its establishment in 1531 until the erection of the diocese of Ponce in 1924, the entire island was a single diocese. In 1960, the diocese of San Juan was raised to an archdiocese, and is currently the suffragan see of the five other dioceses on the island: Ponce, Arecibo, Caguas, Mayagüez, and Fajardo–Humacao. Bishop Juan Alejo de Arizmendi was a patriot and the first Puerto Rican to be consecrated Bishop. The Roman Catholic Diocese of Arecibo is an ecclesiastical territory or diocese of the Roman Catholic Church in Puerto Rico and consists of half of the northern portion of the island of Puerto Rico, a commonwealth of the United States. It is led by Bishop Daniel Fernández Torres. The mother church is the Catedral de San Felipe Apostol located in City of Arecibo. The Roman Catholic Diocese of Caguas is an ecclesiastical territory or diocese of the Roman Catholic Church in the Caribbean and consists of parts of the southeast of the island of Puerto Rico. The diocese is led by a Bishop Eusebio Ramos Morales whose seat is the mother church in the City of Caguas, Catedral Dulce Nombre de Jesús. The cathedral was built as a parish church in the 19th century. The Roman Catholic Diocese of Mayagüez is an ecclesiastical territory or diocese of the Roman Catholic Church in the United States and consists of the western part of the island of Puerto Rico, an American commonwealth. The diocese is led by a prelate bishop which pastors the motherchurch in the City of Mayagüez, Catedral Nuestra Señora de la Candelaria in front of the Plaza Colón. Roberto Octavio González Nieves, O.F.M., is the leader of the Roman Catholic Church in Puerto Rico and the current Archbishop of San Juan. The Roman Catholic Diocese of Fajardo–Humacao is an ecclesiastical territory or diocese of the Roman Catholic Church and consists of part of the east and the northeast of the island of Puerto Rico. The see is vacant since February 2, 2017. The mother church is Cathedral Santiago Apóstol in Fajardo, Puerto Rico. Álvaro Corrada del Río, S.J., is a Puerto Rican prelate of the Roman Catholic Church and member of the Society of Jesus. He currently serves as the second and current Bishop of Mayagüez, Puerto Rico. He previously served as the Bishop of Tyler, Texas. Iñaki Mallona Txertudi C.P. 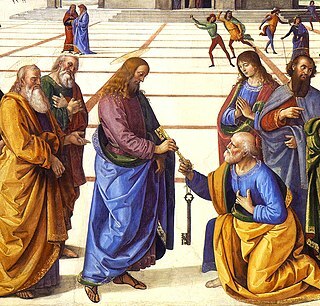 was the third Roman Catholic bishop of Arecibo. He was born in Fruiz, Spain, and ordained a priest of the Congregation of the Passion (Passionists) on March 27, 1956. On December 14, 1991, he was appointed Bishop of Arecibo, Puerto Rico. He was consecrated a bishop by Pope John Paul II on January 6, 1992, with Archbishops Giovanni Re and Josip Uhac serving as co-consecrators. He was installed on January 25, 1992. Edwin Vincent Byrne was an American prelate of the Roman Catholic Church. He served in Puerto Rico, as Bishop of Ponce (1925-1929) and Bishop of San Juan (1929-1943), before returning to the United States as Archbishop of Santa Fe (1943-1963). 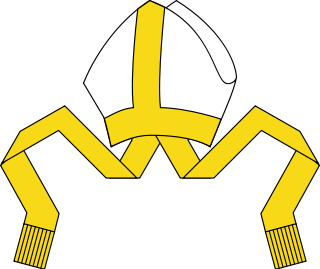 The Puerto Rican Episcopal Conference (CEP) is the episcopal conference of the Roman Catholic bishops of Puerto Rico, a commonwealth of the United States. Luis Aponte Martínez was Archbishop of San Juan in Puerto Rico. To date he is the only Puerto Rican to have been elevated to a cardinal of the Catholic Church. He served as Archbishop of San Juan for 34 years. He was a Cardinal Elector in the two conclaves of 1978 responsible for the elections of Popes John Paul I and John Paul II. Daniel Fernández Torres is the bishop for the Roman Catholic Diocese of Arecibo. Torres was nominated an auxiliary bishop for the Roman Catholic Archdiocese of San Juan by Pope Benedict XVI on February 14, 2007. On April 27, Torres was consecrated a bishop by Archbishop Roberto González Nieves. Bishops Iñaki Mallona Txertudi and Ulises Aurelio Casiano Vargas served as his co-consecrators. Torres was later named by Pope Benedict XVI the 4th Bishop of the Roman Catholic Diocese of Arecibo on September 24, 2010. Eusebio Ramos Morales is the current bishop for the Roman Catholic Diocese of Caguas, Puerto Rico. Félix Lázaro Martínez, Sch.P., is a Spanish-born prelate who served as the Bishop of the Roman Catholic Diocese of Ponce. Lázaro was ordained to serve as the Coadjutor Bishop of Ponce on 25 April 2002, and was elevated to bishop of the diocese on 11 June 2003. He retired on 22 December 2015 and was succeeded by Rubén González Medina, the Bishop of Caguas. Nelson Jesus Perez is an American prelate of the Roman Catholic Church who was appointed the Bishop of Cleveland on July 11, 2017 and was installed as the 11th Bishop of Cleveland on September 5, 2017. Enrique Manuel Hernández Rivera is a Roman Catholic bishop. Juan Miguel Betancourt, S.E.M.V. is a Puerto Rican religious and Roman Catholic auxiliary bishop for the Roman Catholic Archdiocese of Hartford.